Today I am introducing a new column of sorts here on Real Life Artist. I call it “Stephanie Answers Questions from Popular Songs”. Should be pretty self-explanatory. For the first entry, may I present “Will You Still Love Me When I’m Sixty-Four?”. Enjoy. 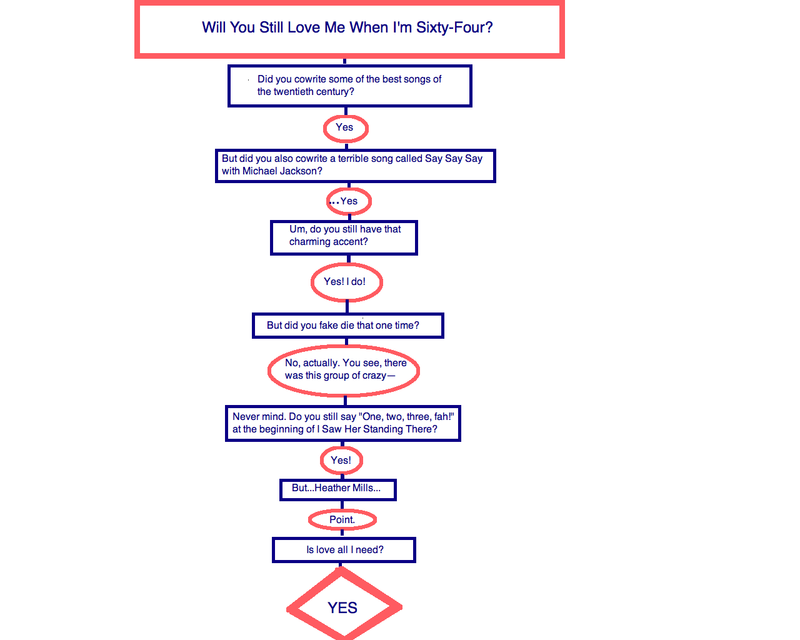 Stephanie's flow chart answers the age-old pop question: Will you still love me when I'm sixty-four?